I’ve known this lovely lady since we were running aorund a soccer field together as kids. Well, I was running, she was saving all the goals. I’ve had a mad girl crush on her since the moment I saw her play, she’s absolutely incredible. Since those days loooong ago, Leah has done a ton more cool stuff! She went to culinary school, pastry school, traveled around, became an aunt and more. She’s this super cool woman that oozes magick from her soul. She’s sweet, strong and smart. Read on to become inspired by her journey thus far! Find her on Insta here. Find her on FB here. You’re a hobbyist baker and I’m totally in love with everything you create. You went to school for it as well, what made you get into baking? You are so sweet! I am equally in love with all that you create! Yes I attended VIU and was lucky enough to partake in field school that took me to Belgium and France. Which was both an incredible life and career experience. As for what made me get into baking, I would have to say that would be my Grandmother. As a child I spent my summers at her house in Metchosin, BC. 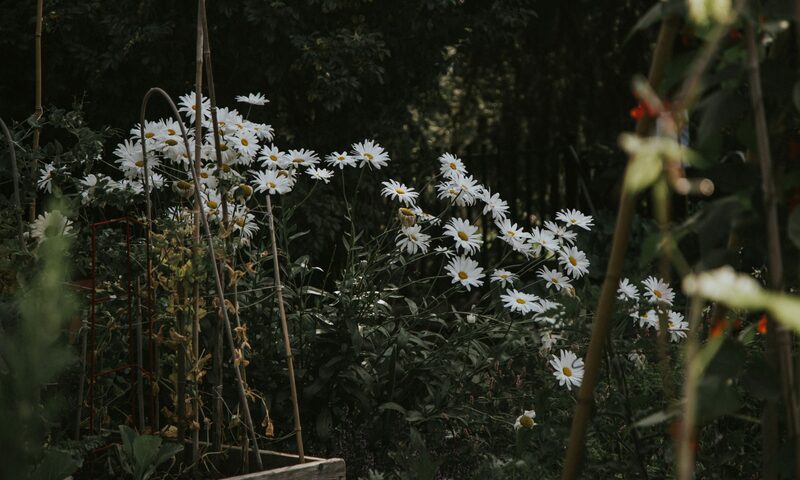 A house my Opa built from the ground up, on 2 acres of land covered in the most dreamy flowers and fruit. So much so, that we had no need for a fence, because wild blackberries surrounded the property. There were 7 cousins that I spent my summers chasing after, to keep us busy, my Grandmother would give us all empty ice cream containers to fill with blackberries so she could make pie and preserves. To this day I still strive to make pie as good as her, as well as her dream worthy chocolate cake. Those summers will always inspire and keep me dreaming. How did you come up with the name Copper Fox for your baking? Honestly it is pretty silly. My friend Alex and I were in University of Victoria at the time, and I was having a classic existential crisis, trying to figure out what to be when I grew up. I found myself procrastinating from schoolwork, and baking or cooking for my friends instead. When I finally came to the conclusion that I needed to take the plunge and attend culinary school (I went to Culinary first then pursued Pastry), Alex said, “You need an identity!” Alex had always told me that I had a “little fox nose” especially when I laughed, which always made me feel more confident, as I was always self-conscience of my nose. It was truly perfect since foxes had been my favourite animals since I was a child. As for copper, aside from the fact that I am obsessed with it, is because there are scientific properties that make copper magic in regards to baking. There is a reaction between it and the albumen in egg whites, causing it to stick to a bowl better and create a beautiful meringue, as well as it conducts evenly making it the best for working with chocolate. And so, in 2011, we concluded that my baking/cooking nom de plume would be the Copper Fox, and so it was. What do you hope comes from Copper Fox? Oh, I have so many hopes! Currently I am just doing my baking as a hobby. One day I hope to open a storefront, that includes both my trades. The dream is for a breakfast bakery, as homemade and from scratch as possible. I am currently living in Prince Rupert, which is a beautiful town, but has little local produce/ingredients, so a move one day may be in order. For now I exercise my artistic need by creating wedding cakes when I have time, generally for friends, or friends of friends. I love that I found this passion; it is the perfect therapy and expression of myself. What’s your favourite thing you’ve ever baked? That is so tough! I suppose my most current favourite is the wedding cake I made this past summer for my friends Dave and Soph. The interior was a tangelo (orange) chiffon cake, with dark chocolate grand marnier ganache. Covered with vanilla Italian buttercream. The colour inspiration was urchin purple, so I made a rustic ombre from darkest at the bottom to ivory at the top. 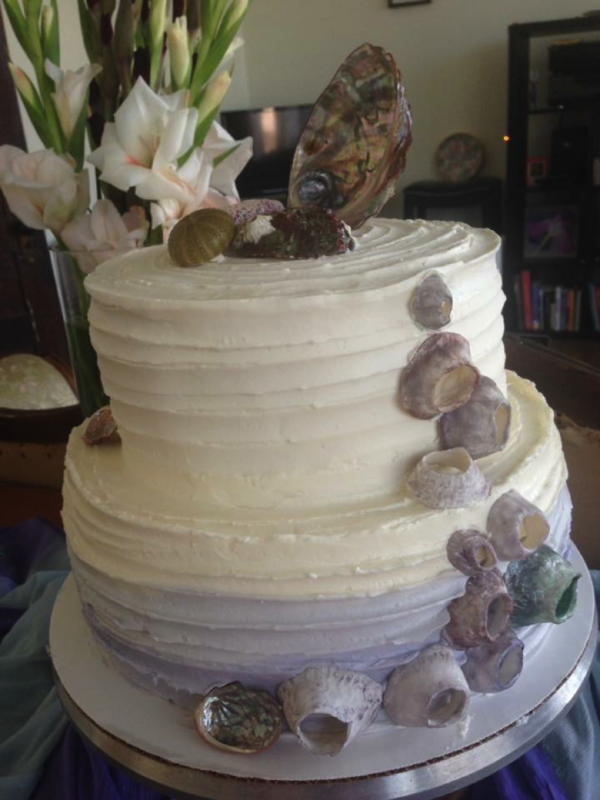 I made edible barnacles out of gum paste, and hand painted them with luster dust, and cascaded them up the side. Then topped it with shells the bride had found and sterilized. It is my favourite, because they had told me the colour and then I dreamed up the rest. I showed her what I wanted to do, and she threw her full trust into me. When people trust my vision and let me create something for them, that is when I feel I do my best work. What’s something you’ve struggled with in life? It has taught me to be more cognoscente of myself, and my needs as a person. To take care of myself more, and to try and put myself first as well as focus on self care. Depending on whether I am on my two weeks at work, or my two weeks off. At work, it is essentially Groundhog Day, work, eat, sleep, and repeat. If I am lucky, I am night cook and I get to be creative in my meals and even get chances to bake for my coworkers, but seniority rules, so that is not often the case. With my job I am very lucky, as there is always training opportunities, to learn a new position and try something out of my comfort zone. On days off I try to keep busy, chores around the apartment, hikes with my dog Maggie, or potlucks with friends. I try to bake 2-3 times on my days off, and take opportunities to cater or do weddings/birthdays. My job schedule does make it hard to take people on with their requests. I also like to keep creatively charged, by painting, drawing, or writing. It is also a full time job attempting to keep my urban jungle alive when I am gone half the month. Plants, everywhere. What’s one thing you’ve always wished for? That some how Bon Appetit Magazine/Test kitchen discovers me and hires me to come work for them, or travel and write about food for them. Dream… Job. What’s something you need more of in your life? Adventure! I am always craving more, but seemingly lacking the motivation to make it happen. So I suppose I require more motivation too. Down time is so necessary after 2 weeks straight of work, that I often find myself making excuses for my laziness. I need to get past that. What’s something you’re really proud of yourself for? I am proud that I am excelling at my day job. I am proud that I followed my dream and went to Pastry school. I am proud that I finally went to Peru and hiked Machu Picchu and fished in the Amazon River (“Piranhaaaa” in the voice of Dory from Finding Nemo). And I am very proud of the person I have grown up to be. Is there anything you wish people knew about you? I wish people knew that I was stronger and smarter than I seem. Not that I feel people view me as weak or dumb, I just feel I am often underestimated. Though that could be the patriarchal society I exist in. Can you show me your favourite photo you’ve ever taken? I know it looks over saturated, but I swear this is the way my old iPhone 5s took the photo. It was early morning, like 0630. I had just done what felt like a never-ending stairway made by evil sorcerers, and had finally made it to Machu Picchu, which literally translates to “Old Mountain”. We were siting on the cliff side, learning about the history of the Quechan Royalty and waiting for the mist to subside, when in the corner of my eye I caught the most brilliant shade of blue/purple. And so in the midst of sitting in awe I snapped this photo. I know it is probably an atrocity for a photographer like your self, but I love it. It reminds me that even if the skies are grey, there is still beauty to be seen. What’s something you’re looking forward to? So much! I am up for a promotional training opportunity at work. 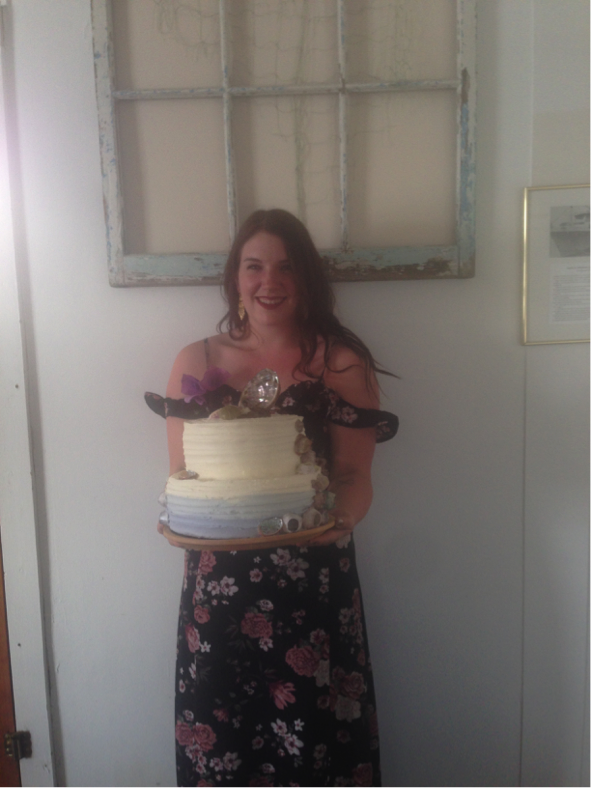 A good friend of mine is getting married, and I am making the cake, as well as doing her make up and hair. My mom is coming to visit me this spring, and stay at my new apartment, that I love. The summer, I have some camping and fishing trips planned with friends. Also, my vacation block is coming up in November and I get 6 weeks off. So I look forward to visiting family and maybe jetting off to somewhere I have never been. What’s something that makes you feel alive? Adrenaline. I am a serious thrill seeker. Just ask my friend Christa, whom I just travelled to Peru with. Anything from bungee jumping, to white water rafting, zip lining, or down hill bike racing, I love it all. Show me to the roller coaster and you will see nothing but smiles from me. What’s your all time favourite song? This is an extremely hard question. But seriously, there are so many more! What do you hope people remember about you? I hope they remember me as kind, that they remember me as laughing, for my eccentric dance moves, and for making them full with delicious food and desserts. What is your ultimate goal in your personal and professional life? Girl you are killin’ it with the hard questions. My ultimate goal? Well, I suppose when summarized, is to be happy. I hope to make Copper Fox a well-known name, and household tradition. To fall in love and create as well as raise a family of my own. But ultimately take all my dreams and make them an unwavering reality. The only way to get anywhere is outside the box you call the comfort zone. Thank you so much Paige for choosing me to be a part of your wonderful blog, and for always being so supportive. This is such a great read and Paige you ask the best questions. They really help showcase the people you interview! I love how they differ from person to person! Thank you Stormy! I love doing them.